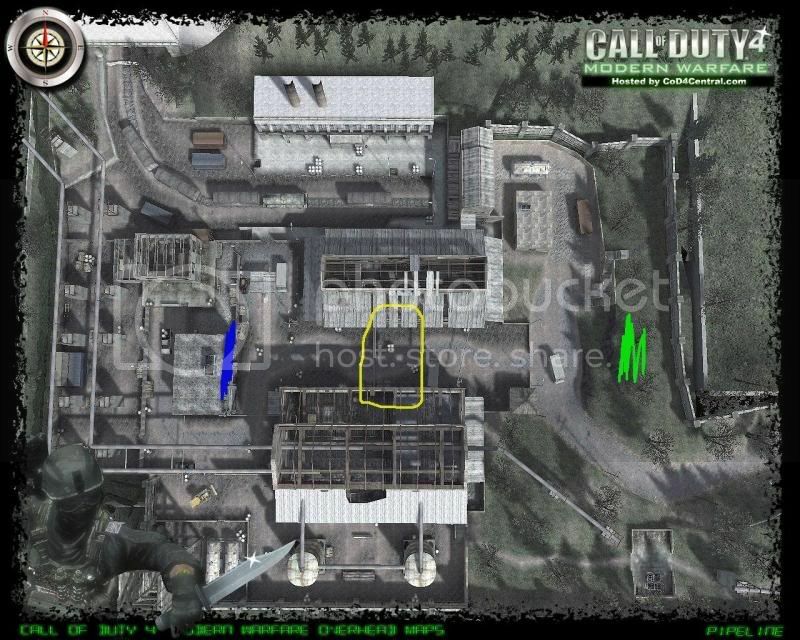 Maps: Pipeline, Overgrown, Crossfire, Bloc. Recommended Perks: (Sniper) Bandolier, Stopping Power & Iron Lungs. (Runners) Extreme conditioning. Maps and routes included. 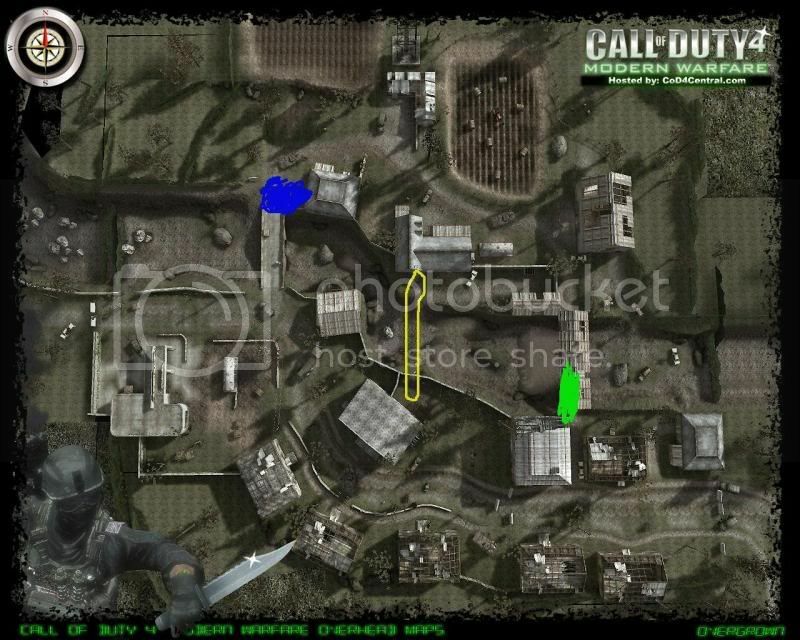 Game starts with 2 snipers (Top team) on opposite ends of the map (blue and green). 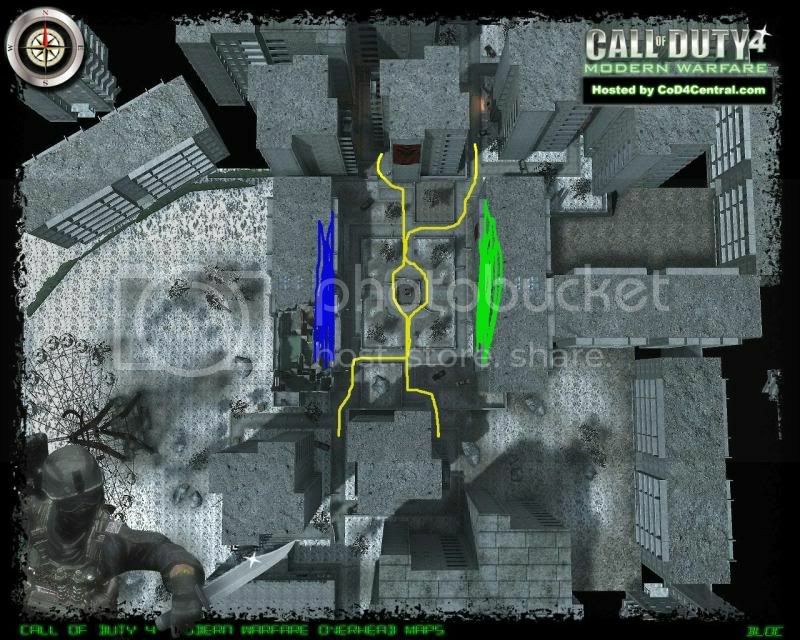 The remaining players (Bottom team) will be in the middle of the map and will run back and forth over the outlined route. Jumping, ducking, crawling is permitted, but no hiding behind walls etc. 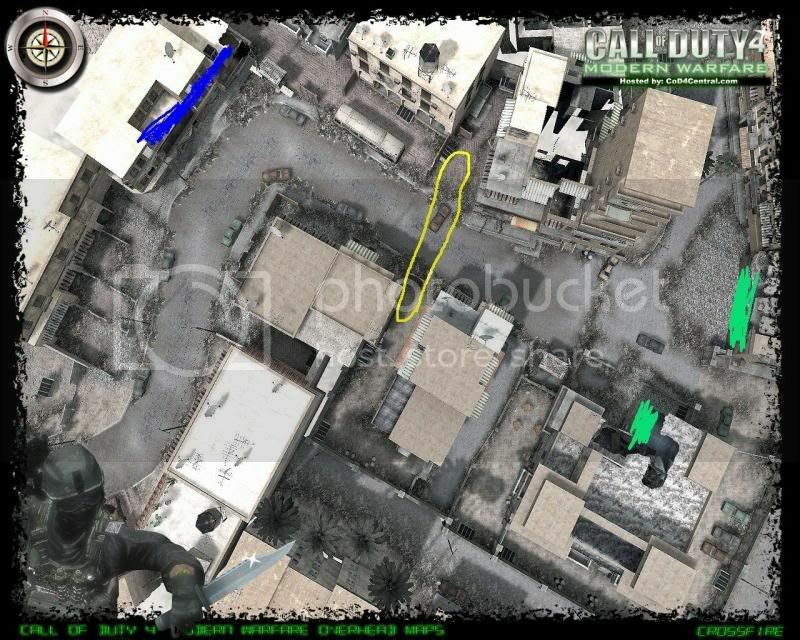 Objective is for the sniper to kill the runners. Once the runner is killed, he then joins the team that killed him. Last runner standing wins that round, runners have 1-5 lives depending on how many players we have. Health is minimal to reduce hitting someone and them not dying. Runners have extreme conditioning and an SMG. Snipers have bando, stopping power and deep impact. Snipers that run out of ammo take a suicide to replenish. Please post below if interested in taking part. Any other rounds played snipers will be decided in the lobby. daHawk\'s in and i volunteer as a sniper.